Little hosts and hostesses will love this delightfully colorful hand-carved and hand-painted Tea Party Storage Step-Up from Guidecraft. 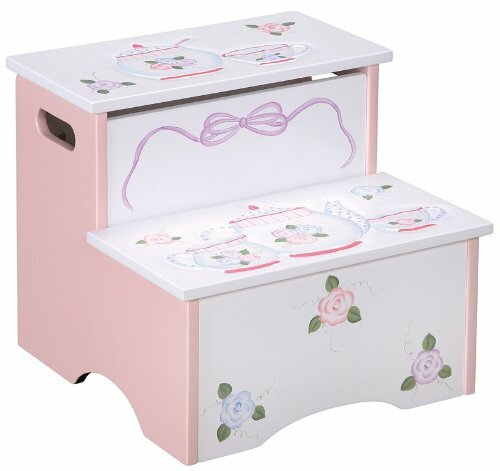 The brightly colored childrenâ€s step stool features hand-painted tea cups, saucers and tea pots. The convenient Tea Party Step also features storage area below the top step.